If you’re anything like me, procrastination is my go-to excuse for letting bad habits stick around. Cleaning out the car? I’ll do it tomorrow. Getting back to healthy eating habits? I’ll start on Monday. Even with sleep…cut down on screen time? I’ll do that after this one post! Because doing whatever it takes to get baby to sleep is worth the short-term band-aid if it means you can catch some zzzs of your own…right? Nope — Let’s start tonight! 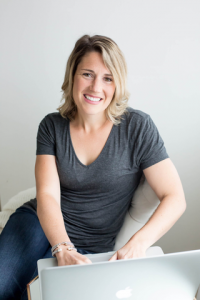 What if I told you there are four simple baby sleep tips you can try tonight that will help your little one sleep better in the long run? 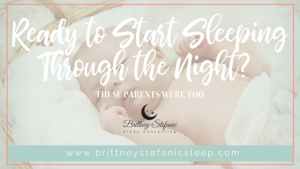 And what if you were lucky enough to lay your sleepy little eyes on those baby sleep tips right about NOW! Okay, I’m not saying paint the walls grey and get rid of all evidence of toys. But too many distractions in the nursery can overstimulate your little one, which is exactly what we don’t want when it comes to sleep time! 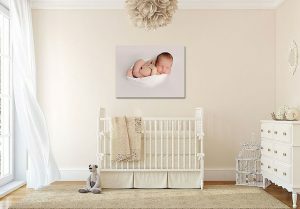 If you have a mobile hanging over the crib, relocate it to a different spot, or a different room altogether. If you have toys out that light up or make noise, put those away in a closet or a bin where they will be fully out of sight. A white noise machine is great to block out any outside noise that might cause your baby to wake up, and a yellow night light can keep toddlers from getting spooked by the darkness, but other than that, the more boring your child’s bedroom is, the better they’ll sleep. And the alarm clock, and electronic screens, and the sun. Any light — whether it’s natural or artificial — signals to our brains that it’s daytime, and not time to sleep. Plus, melatonin production is triggered by darkness. Turn down the lights about an hour before you plan to put baby down. Hang blackout curtains in the nursery to keep sunlight out during daytime sleeping (or in a bind, throw some thick towels over the windows). 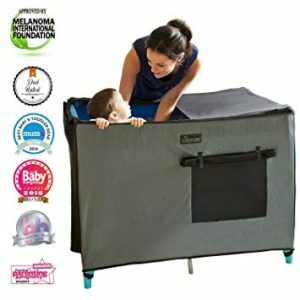 And if you travel a lot or your baby regularly naps in places other than the nursery at home, I invested in a SnoozeShade…which essentially turns a pack n play into a dark cave. (Psst, get 10% off when you purchase on Amazon using my promo code BRITT222 at checkout). As new parents, we’re pretty obsessed with making sure lil babe is comfortable. We instinctively bundle them up in parkas and mittens at the first forecast of freeze. But for sleep time? Don’t overdo it! Babies, just like us grown-ups, sleep best when they’re warm and snuggly in a cool room, somewhere between 65°F and 70°F (18°C – 21°C). A warm onesie or a sleep sack over light PJs should be plenty to keep baby comfortable through the night. No matter what your age, a predictable and consistent bedtime routine is important for getting a good night’s sleep. For babies in particular, consistency helps formulate good sleep habits. Their little brains and bodies will start to recognize patterns — like bath time, a bottle, or a story — that indicate bedtime is happening, and they’ll start to prepare for the evening. Energy levels will naturally wind down, melatonin production will kick in, and muscles will start to relax, so by the time you’re planting a goodnight kiss on the top of lil babe’s head, they’ll be set for a long, restorative sleep. Crazy, right?! Go on, you got this thanks to these baby sleep tips. Okay, I know what you’re thinking…that’s it? Surely teaching great sleep skills won’t happen overnight. You’re right. As parents, it will take some time, a lot of repetition, and plenty of discipline and diligence. But if you’re desperate for easy changes you can make that can offer a little bit of relief, these tips should help you and your little one get a few more hours of shut-eye, starting tonight. And if you need more support, accountability, or even a sleep plan fully customized for YOUR FAMILY, you know right where to find me!